What fun plans do you already have in mind for this holiday weekend? Whether you’re spending it with the family, or catching up on some much needed alone time, there’s plenty to do to enjoy your three day weekend! Plant Flowers on your own, or with the kids! - Friday May 24th, there is a Tulip Bulb Sale at Thanksgiving Point – starts at 10am and goes until the bulbs are gone! $3 for a dozen! I will definitely be grabbing some for my own flower patch. Greenhouse Hours are Mon-Sat 10am-6pm, stop in and take home some of the famous tulip festival with you, and make a family activity out of planting them together! See more on the event here. 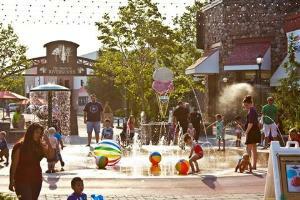 Splash Pad Party at The Shops at Riverwoods - May 24th4-6pm come for dancing, games, and a bounce house! Bring your suite, towel and camera, and while there check out the shops and fun places to play like Provo Beach Resort! See more details! Walk on Water Charity Walk - Looking to make a difference this Memorial Weekend? “A woman in most third world locations has to walk an average of 3.7 miles each day to collect water for her family.” $25 donation fee to participate, 100% of the proceeds will go to H2O International’s project in Nicaragua to provide clean drinking water systems. Starting at Kiwanis Park at 10am, Walkers with go to the Provo River to collect water. Check it out! Pony Express Days - Going to be anywhere near or in Eagle Mountain this weekend? Eagle Mountain is having their city’s annual celebration with rodeo, carnival, concert, and more! There’s even a demolition derby next week! The Rodeo is going on this Friday, Saturday, and Monday, 6:30-9pm, $5-10. Pony Express Days is going on now until June 1st! Learn more! 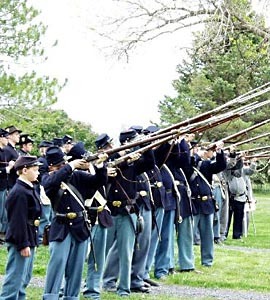 Civil War Encampment at Camp Floyd - This even allows visitors to experience camp life through reenactments, stagecoach rides, watching firearm and cannon demonstration, 1861 period games, photos in uniforms, and more! 10am – 4pm Saturday and Monday. Entrance fee is $2/person or $6/family, and then all activities are free of charge! This event looks like a great way to save a buck and still have fun this holiday weekend. See what is going on by clicking here! “Welcome to Hogwarts” at Thanksgiving Point Gardens - Sorting hat, wizarding classes, bertie botts beans, and more will be found Monday evening, May 27th at the gardens. $10/adult, $6/child (3-12), $9/senior (65+). Free for Thanksgiving Point Members. Read about it here! Not up for Harry Potter night? You can come see this oasis in the desert anytime Mon-Sat 10am-8pm. Beautiful features include 55-acres of gardens! “UrineTown” playing at Hale Center Theatre in Orem - A musical comedy about a water shortage that leads to a ban on private lavatories. A hilarious satire full of courage and love, don’t let the title scare you! Running now until June 15th. Weeknights $16-18/adult $12-14/child, weekends $18-20/adult $14-16/child. Get the details here. 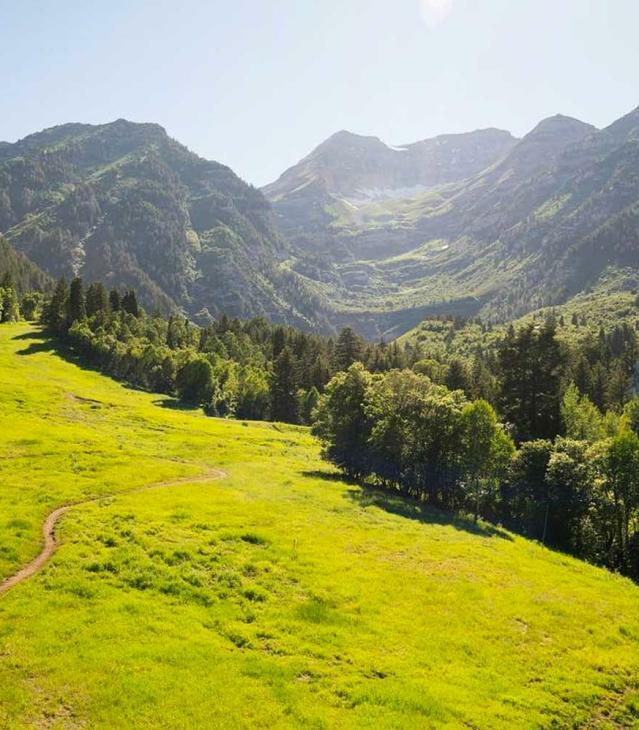 Find out many other fun things to do at www.utahvalley.com!